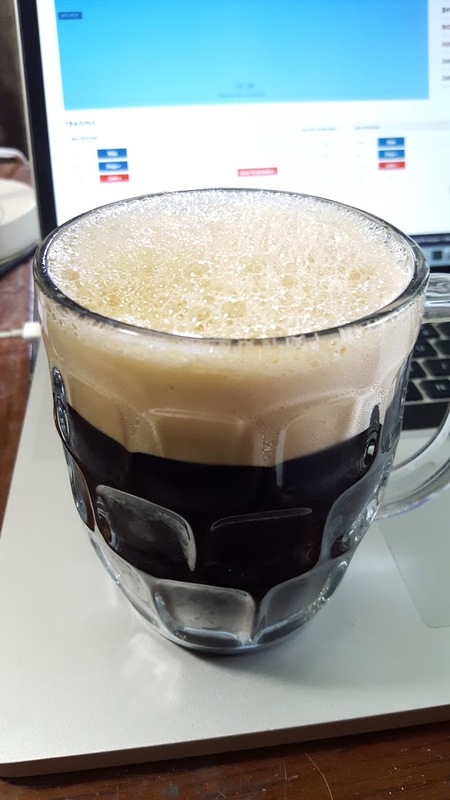 London ESB Coffee Porter – 10 gallon batch | Kodiak Brewing: Beer, Wine, Cider, Mead Blog. 4 oz of coarse ground (to open up the bean) coffee added into the fermentor in a mash bag that was sanitized. 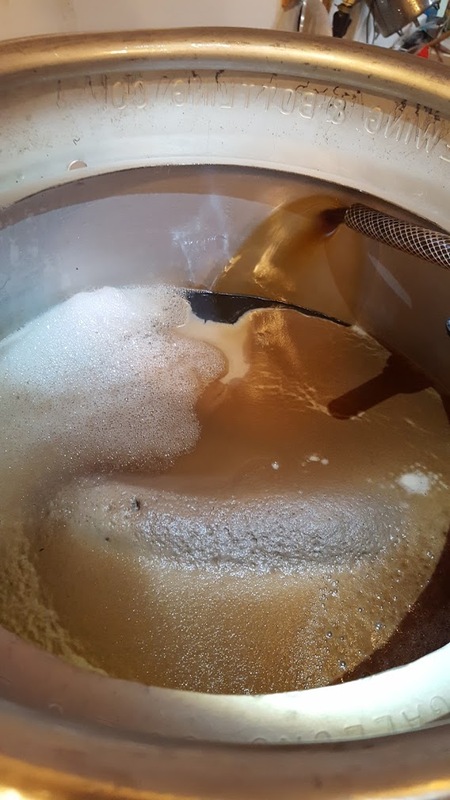 We started the Mash at 140 F and over an 90 minutes slowly run a program controlled by our electric PID to reach 154F – we mashed out at 170F. Boil was for 90 minutes.